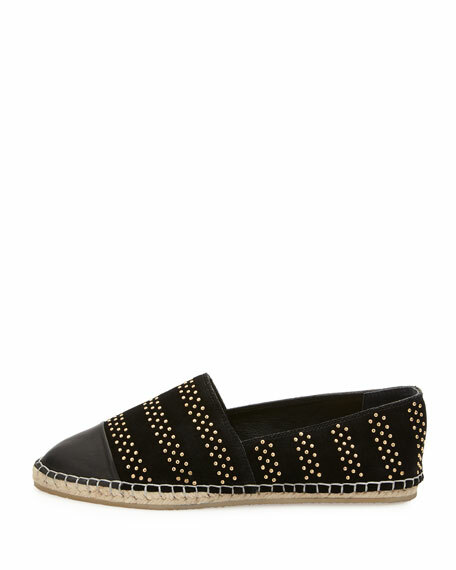 You won't find our exclusive Loeffler Randall studded spin on the espadrille anywhere else. 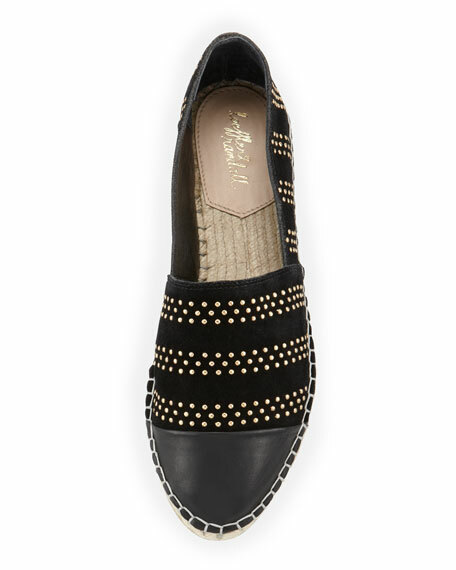 Suede upper with golden studs. Round napa leather cap toe. Leather lining and raffia footbed. Braided raffia midsole with contrast stitching. Rubber crepe outsole for traction. "Mara" is made in Brazil of Italian material.